I've been in the music business for well over 12 years and the 2 questions I get asked the most are (1) How can I promote my music? 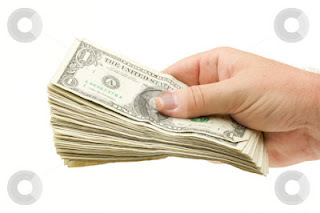 and (2) How can I make money off of my music? So, I've decided to post this guide showing you the 5 easy ways to promote and sell music online. Now, before we get started, I feel I must make a point here. If anyone ever tells you you can't make much money selling music online, smack them dead in the face! I've personally seen people I work with make $72,000+ in only 2 months using some of the methods I'm going to tell you about here! It baffles me that a lot of people want to make money off their music but they don't even have their music available for sale! Doing research on the different companies that offer good placement and promotion services is key. 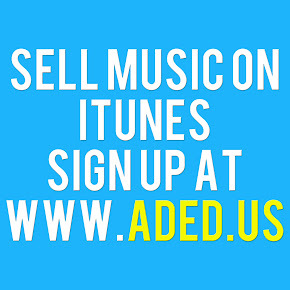 Companies like ADED.US Music Distribution specialize in helping independent artists get distribution deals and placing their music on the 4 major digital retail stores for music: iTunes, Amazon, Google Play, and Spotify. They also set you up with your own artist page with "EZ Share Buttons" and all the necessary links to connect you and your customers to a purchasing platform. All this for only $5 a month! I'd call that a hell of a good start! 2. Build Your Fan Base And Ask Them To Help You Promote. Having fans is great. But if your fan base consists of bums and your broke homies, you'll find it hard to sell them records. This is where direct marketing comes into play. You need to understand the type of people that will buy your records and focus on them. A simple little trick to sell records is to search twitter for words like "bought" and "itunes", to pinpoint actual buying customers. If people who have money are willing to spend it on music and talk about it on a public forum, then those are the exact type of people you need to be messaging! This "trick" can be used on any social network. 4. Place Your Links EVERYWHERE! On a business card! This is a genius little idea. Pressing up CDs is a dying artform. Not only is it a waste of money, it defeats the purpose. You want your customers to be comfortable with the idea of being able to buy your music online. Having business cards pressed up with the links to your social networks and the stores where your music is available for purchase is a lot cheaper and easier to hand out than CDs. Think about it. The EZ share buttons and links provided by ADED.US Music Distribution are probably the best and easiest way to promote these links on your various social networks. If you need to reach the masses but do not have your own platform, you may need to hire a "blasting" company or a blogger to help you out. This is where negotiating comes in. Some blogs may naturally love your music and place the links to your music on their blogs for free while others may charge you for such a service. ADED.US Music Distribution also offers an e-mail blasting service as well as a YouTube blasting service to help get you started. Your image matters a lot in this business. So, hire graphic artists, music video directors, and website builders who will make you look good.